You know the saying: bad things happen in threes. Having a travel-related emergency is definitely a bad thing! From lost luggage to emergency medical treatment, travel insurance can change those bad things into tolerable. Now GOOD things will happen in threes-starting with these 3 reasons to buy travel insurance for your family. Plus, my cautionary tale about a recent $300 mistake that had this Traveling Mom scurrying to purchase an annual policy with Allianz. 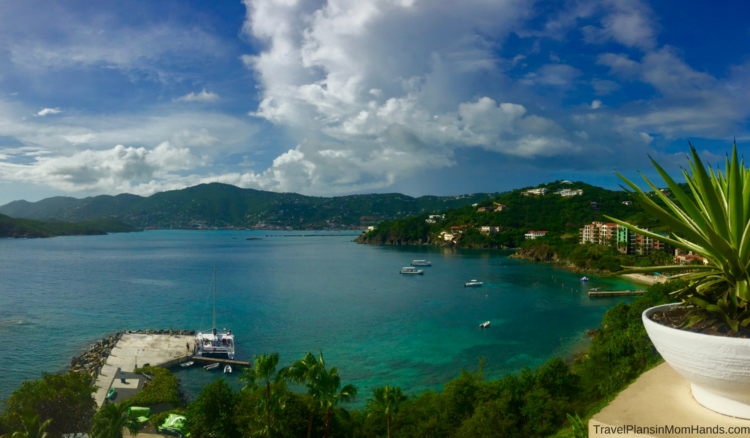 The Caribbean beckons, but don’t even think about it during hurricane season without travel insurance! Photo by TravelingMom with Teens Sherry Boswell. Difference in pricing means more money for vacations! Murphy’s Law: Travel Disasters Can Happen to You or a Member of Your Family. When Things Go Wrong, They Go Off the Rails. As a lawyer, I’m well versed in insurance. Heck, we even had a section on the state Bar exam devoted entirely to insurance. But I don’t need to be an insurance expert to know that I need travel insurance. Universal truth: stuff happens. Insurance is for when stuff happens. And travel insurance is an ally when stuff happens while traveling. The best ally for travel insurance practically has “ally” in the name: Allianz. So I’ll give you 3 reasons why you should buy travel insurance for your family, and share with you why I learned my lesson the hard way this past weekend and made a $300 mistake. Why Should I Buy Travel Insurance for My Family? 1. Difference in pricing means more money for vacations! Protecting a vacation investment is just good sense. 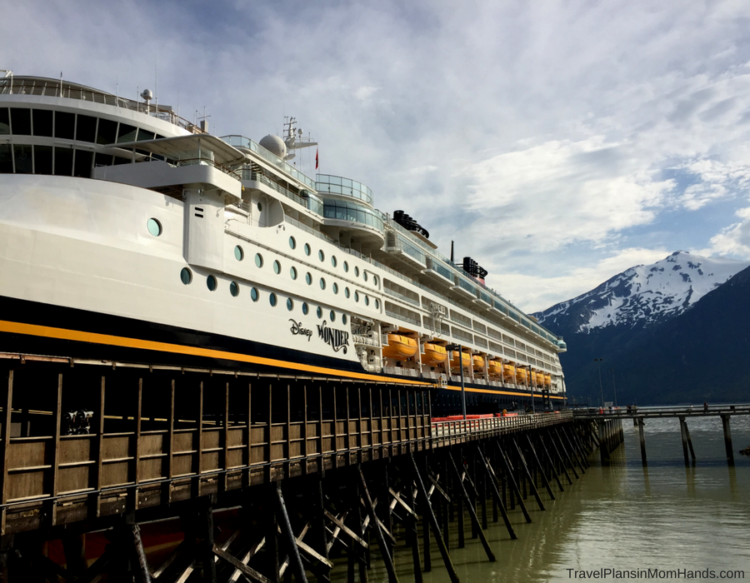 Our family didn’t think twice about shelling out for travel insurance before our Alaskan cruise last year. But after pricing it through our cruise line, I nearly had a heart attack! That much money just to ensure one trip? Thankfully, I had an aha moment and looked into getting an Allianz policy instead. So let’s run the numbers: If we purchased through the cruise line, my vacation plan coverage would have been 8% of my pre-cruise price. That was $680 for my family of 4. With Allianz, I paid $152! So naturally, I purchased travel insurance with Allianz since it was 4.5 times less than what I would have paid for the one cruise! Sorry cruise lines, but I’ve learned to shop around for my travel insurance. Photo by Sherry Boswell, TravelingMom with Teens. 2. Murphy’s Law: Travel Disasters Can Happen to You or a Member of Your Family. I’ve been pretty fortunate during my travels. Lost luggage, canceled flights and the occasional threat of a hurricane have happened. But then there’s the time I broke my ankle in France during college. Talk about a bad break-LITERALLY! Dream come true! In college, I spent a month studying abroad in Tours, France. On Bastille Day, our college overseas program decided to do a picnic. We ate, we goofed off, and we played a game of touch football. And that’s where things went off the rails for me. I slipped and fell on the wet grass, and my ankle snapped. Off to l’hopital I went. Of course, X-rays confirmed I had broken my left ankle. 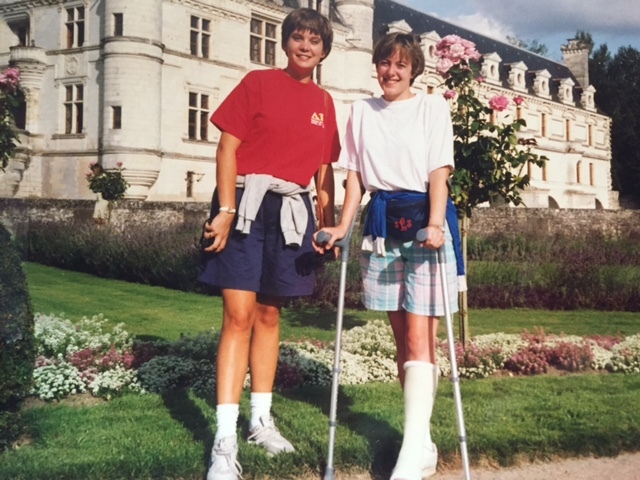 Breaking an ankle in France didn’t mean the end of my study abroad. But it was the start of my strength training on crutches. Photo by TravelingMom with Teens Sherry Boswell. Looking back on that experience, having emergency medical coverage would have really come in handy! Sure, my parents had medical coverage on me, but travel insurance is specifically made for situations like this. Don’t even get me started about having to wobble around France for the next 3 weeks on crutches! 3. When Things Go Wrong, They Go Off the Rails. Everyone knows someone who has needed travel insurance. My dad had a diabetic issue a few years ago during his trip to Canada, and his vacation was cut short. He had to leave the cruise ship, spent the night in a hospital, and flew home early. I remember how hard he had to work to get his bills paid and expenses reimbursed. It made an impression. I vowed then and there to find a reputable travel insurance company that wouldn’t put me through that nightmare. I have been saying for weeks that I’m going to get an annual policy. But I hadn’t pulled the trigger yet. 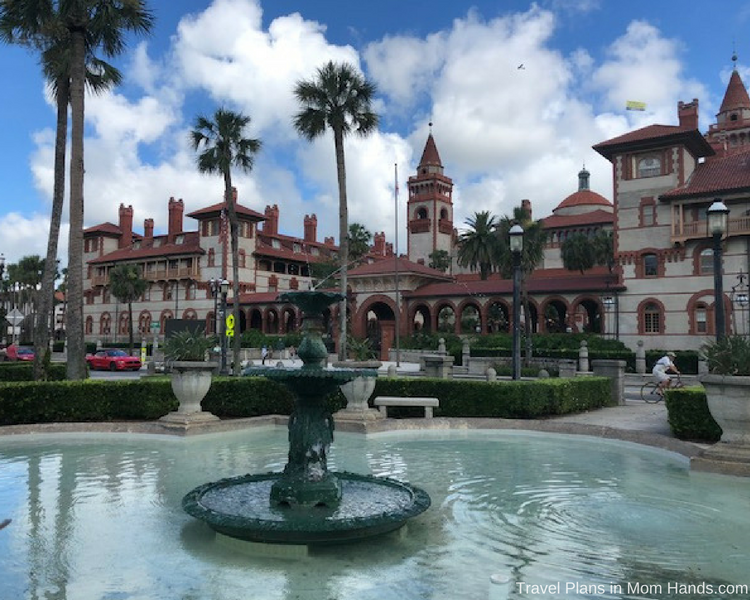 So this past weekend, my husband and I trekked off to St. Augustine for a grown-ups only getaway. And you guessed it, we had a medical emergency. No, not us, but our daughter at camp became ill and had to go home early. Of course, being the planner, I had pre-booked a night at the Bayfront Marin House, which has a clear no cancellation policy if under 7 days unless they can re-rent the room. (As a total aside, how in the world am I going to know if they were able to re-rent the room?) So while I’m frustrated with the manager telling me to my face that there was nothing they could do, I realize all this could have been avoided if I had already purchased my annual policy with Allianz. Then I would have had trip cancellation insurance for a covered reason: in this case, a medical emergency for a family member who suffered a serious injury or illness. 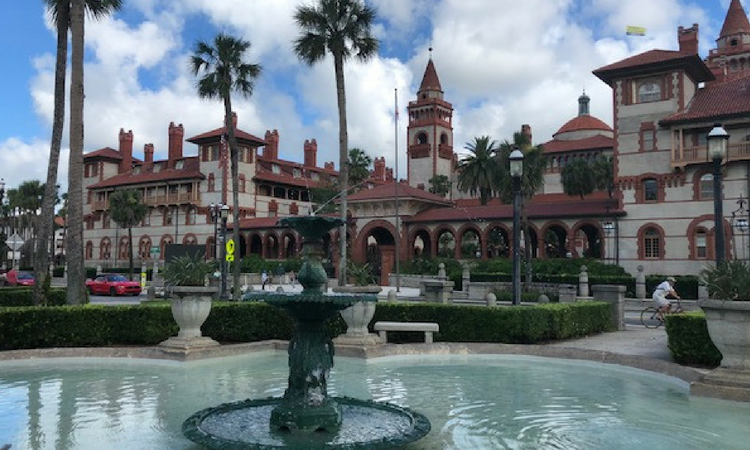 St. Augustine is lovely-too bad we only had 1 day to enjoy it before Murphy’s Law caught up with us. Photo by TravelingMom with Teens Sherry Boswell. I would gladly have put that $300 instead towards one of the Allianz annual travel insurance policies rather than feel like I flushed it down the drain! See, even travel bloggers goof up and don’t have their stuff together all the time. An annual plan is especially beneficial for those who take 3 or more trips a year. And I’m not just talking leisure travel. Business travelers, this is for you, too! Allianz has an AllPlan Executive Plan that’s customized for the business traveler desiring higher trip cancellation and interruption limits. 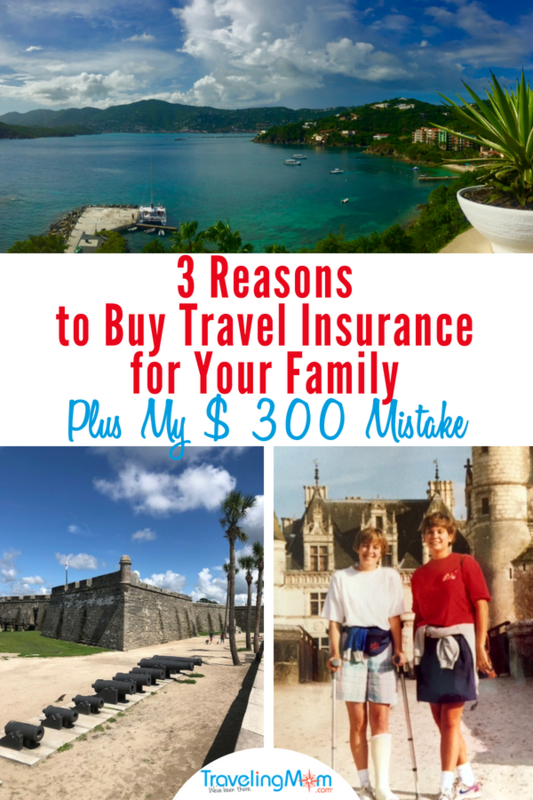 So let my $ 300 mistake and these 3 reasons be the motivators to grab travel insurance TODAY! 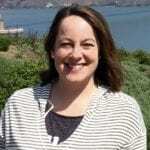 Plus other Traveling Moms have asked the question “Is Travel Insurance Worth It?” and decided yes for their families, especially for summer travel.